CalCars' Felix Kramer asks What's Dragging Down the Volt? GM's 5-week production halt on the Chevy Volt has given ammunition to naysayers, while advocates like Felix Kramer say it's just a phase in the technology adoption curve. Felix Kramer, founder of the plug-in car advocacy group CalCars, posed the question today "What's Dragging Down the Volt?" The question comes following GM's five-week production halt for the Chevy Volt, that has led in turn to a flurry of pundits predicting the death of that car because obviously the production halt is a sign that nobody wants the Volt. Over 1626 Chevy Volts have been sold so far in 2012, which is, as we have discussed before, a drop in the bucket compared to normal gasoline car sales, but it is a faster sales rate than in 2011, and in any case the more appropriate to comparison should be to the Toyota Prius sales in its early years. In 2011 there were 7,761 Chevy Volt's sold, and the 1,626 already sold in 2012 is a slightly higher sales rate but not high enough to blunt the criticism of slow sales. The Toyota Prius had a slow uptake in its first couple years, with 5,600 sold in 2000, 15,600 sold in 2001, 20,100 sold in 2002, 24,600 sold in 2003, and then in 2004 sales began to take off with 55,900 followed by 109,900 sold in 2005. GM beat Toyota's first year sales with the Volt, and it's quite possible for more Volt's to be sold in its 2nd year than the 2nd year of Prius sales, depending on how long gasoline prices stay high. Many products in many areas of technology have followed this pattern. For example the original Microsoft Windows did not take off until version 3.1 was developed. The Toyota Prius did not take off until the GenII Prius was developed. Some technologies never make it out of this trough, for example Apple's Newton MessagePad suffered horribly from negative press and while Apple's engineers vastly improved handwriting recognition in the last model, the product was still killed and to this day Apple firmly eschews stylus's. But, let's get back to the Volt. As Kramer notes, in January GM's CEO Dan Akerson said the Chevy Volt had been turned into a political punching bag in the wake of the battery fire controversy. The negative press about the Chevy Volt began long before that particular controversy, with Rush Limbaugh weighing in with cluelessly incorrect incoherent rants against that car as far back as August 2010. Some examples of negative media coverage includes the "study" with bogus reasoning claiming each Volt had $250,000 of government subsidy, or the faux controversy over GM's superbowl ad for the Chevy Volt, or the bogus claim by Gingrich that you can't put gun racks in a Volt, as well as the whole controversy over the single Chevy Volt battery fire that has the likes of Bob Lutz saying that bashing of the Chevy Volt by right wingers is harming America. The hype on the Volt says the car is a "firestarter" ready to burst into flame at a moments notice, while in truth it is a car with 5-star crashworthiness ratings, in which there was a single fire resulting from crash testing, which GM and the NHTSA closely studied, wrote a detailed report, and developed a fix for the flaw found by forensic researchers. What about the 5-week production halt on the Chevy Volt? Is it an indication of the Volt's imminent failure? Kramer suggests this is the current key meme to counter-act because the naysayers are already pushing the idea that low Chevy Volt sales means it's a failure. 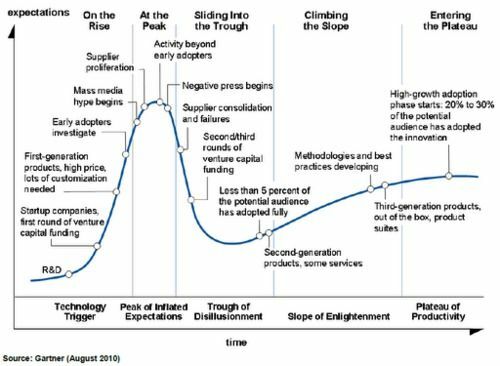 Kramer first suggests that in light of the information we've just covered, the Volt is simply entering the "Trough of Disillusionment" phase where the negative press is taking its toll. While the production slowdown looks bad, it's better than having an inventory glut. However for the well-being of us all, Kramer says "It would be a mistake to conclude from the pause that it's time to ratchet DOWN our expectations for the Volt" and that we "still need to find ways to get hundreds of thousands of them on the road." In other words if he were asked whether GM should kill the Chevy Volt, stand pat, or create the Volt2, Kramer would have GM double down and develop the Volt 2.0. What about the Chevy Volt price? Kramer wants us to know that GM is offering a $350/month lease program, and he echo's the opinion of many by saying "purchasers need to hear Volt owners crow that they got a BMW-level car at half the price." GM is partly at fault in Kramer's eyes by positioning the Volt next to the Cruze, when if it had been badged with a Cadillac name nobody would have batted an eye at the price. A resource GM could leverage is the enthusiastic owners of Chevy Volts. An example is the group of Volt owners who banded together with a letter to GM saying they wouldn't hand over the keys to their cars in the wake of the fire controversy. In the Chevy Volt Owners group on Facebook, the Volt owners routinely exclaim how much they love their cars, come up with new ideas that GM should put into advertisements, and more. This sort of enthusiastically loyal customers are gold to companies, if only GM can effectively tap the enthusiasm. Kramer has identified at least four clusters of prospective Volt owners: "fans of early technology, people who don't want to fund petro-dictatorships, environmentalists, and the LOHAS market segment (tens of millions of households willing to pay more up front for Lifestyles of Health and Sustainability)." Yesterday GM's CEO Dan Akerson met with a group of Volt owners in San Francisco, talking with them for an hour in part about the production slowdown. A report in the facebook group from Fred Ehnow had Akerson assuring the group the slowdown was "nothing more than a matter of keeping inventories in line with demand" and that "we are not backing away from this product." Akerson also noted GM also had a two-week production shutdown in November for the Chevrolet Cruze, and nobody made a fuss over it. Today GM announced a production halt on the 2012 Chevrolet Camaro ZL1 because of quality issues, and is anybody making a big fuss over it? It is, of course, up to GM's management to decide the course that GM takes. GM appears to be taking a stand to stay with the current course. Toyota had enough sticktoitiveness to stay with their course through the Prius Trough of Disillusionment. Will GM have the same strength of fortitude?